This Li'l Heartbreaker Cape on your kids will surely make your Valentine's Day funny and cute! 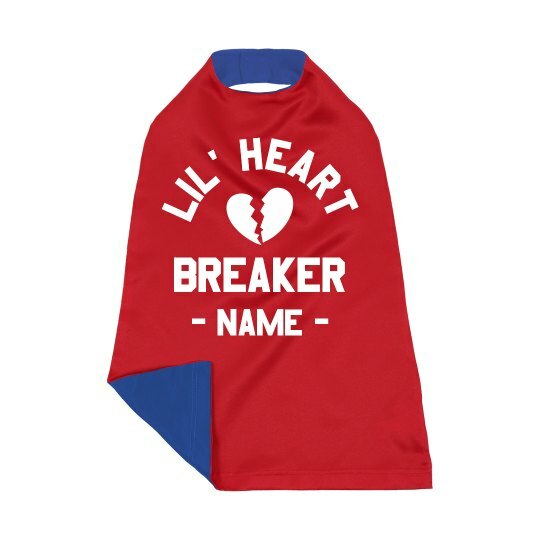 Have this customized on our Design Center to add the lil heartbreaker's name! It isn't their fault to be super adorable and irresistible! You know, he wouldnt be able to accommodate everyone! After all, only Mom captured his heart!